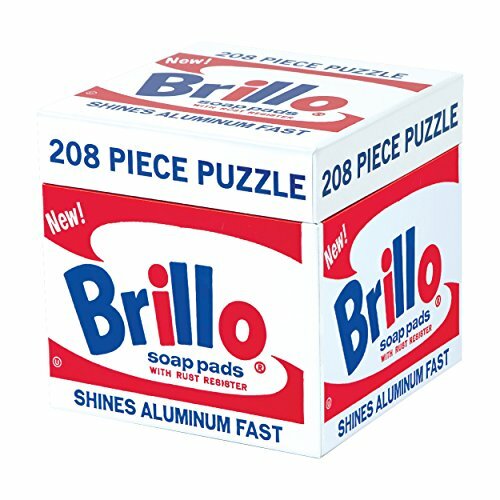 This 200 piece Mudpuppy puzzle, packaged like one of Andy Warhol's iconic Brillo Boxes, will delight puzzlers of all ages. - 208 pieces, 15 x 15"- Package dimensions: 5 x 5 x 5"
Andy Warhol, a painter and graphic artist, also produced a significant body of film work, including his famous Chelsea Girls. He was equally well known in the late sixties and early seventies as resident host at his studio, The Factory, where one could listen to Lou Reed and the Velvet Underground and rub elbows with Edie Sedgwick. Warhold died in New York in 1987.